Fully immunizing your child according to the recommendations of the American Academy of Pediatrics can help protect your child from many common infections. These infections can lead to serious and even life threatening complications. 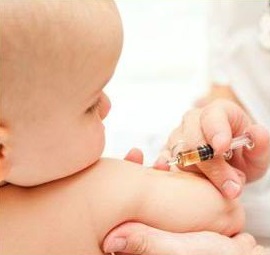 In general, it is much safer to immunize your children than allow them to get any of the infections that they prevent. All clients will be asked for insurance information at the time their appointment is made. We will bill Medicaid, Caresource, Molina, Buckeye, Paramount. All uninsured children may receive VFC vaccine for administration fee of $15. In addition we will bill Private insurance that we are credentialed with. If the WCHD cannot bill your private insurance, you can either pay for the vaccine, plus $15 administration fee, or we can refer you elsewhere. Immunization Types are: Hepatitis B, Tdap (Tetanus, Diphtheria, Pertussis), MMR (Measles, Mumps, Rubella), Zostavax (50 years and over), Flu and Pneumonia vaccine.